How close are we to each other at work? Take the word, Intimacy. Is this a term we should even consider when we speak about our work relationships? Yes we should. Intimacy from its latin root means to “make something known to someone else”. Intimacy is honesty and yes indeed, implies a level of closeness. Researcher Charlotte Roberts gives us this thought on Intimacy. Intimacy in organizations starts with a commitment to get to know people behind the mask of their job title, role, or function. Members of an intimate team know each others’ preferences and predilections. If you are a leader of an intimate team, you may find yourself earning loyalty that accrues to more than just your position of authority. She further states that “the lack of trust pervasive in most organizations is not a cause of lack of intimacy, but a symptom of it”. I could not agree more. As I see it, intimacy lessens as one moves up to the highest levels of an organization. Too much is on the line – I need to be careful, guarded and serious. Intimacy and deep connection will only hurt me. Alas, the opposite is true. Senior leaders want to gain more … productivity, process improvements, and cost savings. A real human answer is available to us all, building more intimate relationships in the workplace. Our staff, our people are capable of more. It is time to connect and move toward intimacy. 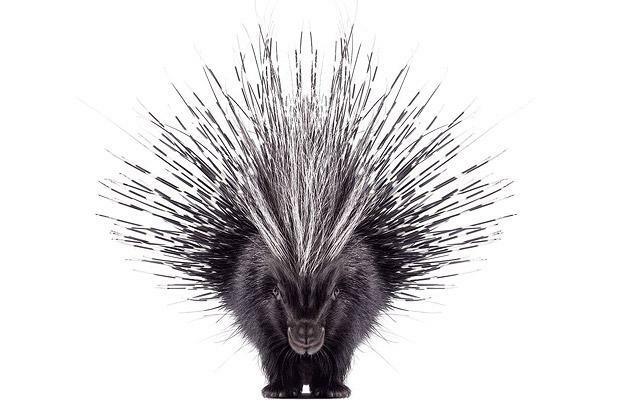 So what about these porcupines – you know the critters with all the sharp quills? On YouTube there is a short video story by Elizabeth Gilbert, author of Eat, Pray, Love. She uses porcupines as a metaphor for human intimacy. When we get cold, we huddle together. Yet, we have our own sharp quills and thus can hurt each other. As such we separate. She calls it the dance of intimacy … need for closeness, need for separation. The story goes on – we each need to focus on generating our own warmth. From there we can get draw others to us and get close without hurting each other. A leader should genuinely care and show respect for everyone. A leader remains honest and is interested in people and who they are – this is intimacy and indeed belongs in our workplace. It is always wonderful to watch a storyteller speak. I invite you to watch Elizabeth Gilbert tell her story of intimacy and porcupines.